2011- Started in WT Center. 2015 - Wing Tsun Instructor - WT Dragons. 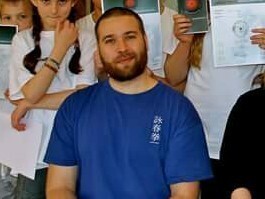 I began my journey in WingTsun back in 2011 and received the first grade in 2012 after 9 months of practice. I have been teaching the WT dragons for more than 2 years and are happy to practice and pass on the knowledge and traditions to the dragons in return. On a personal level it has given me an experience in passing on knowledge and more patience and understanding while teaching. I can easily use this in both personal and work related situations.